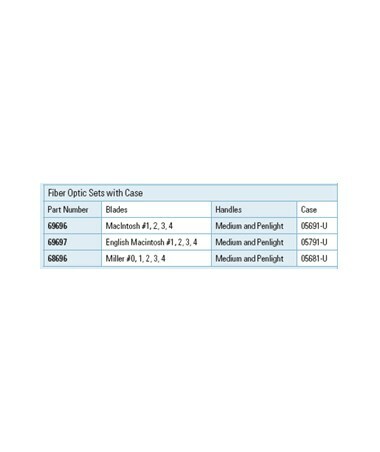 The Fiber Optic English MacIntosh Set features a powerful halogen HPX illumination. Light output is nearly three times more than the standard (lamp) set. 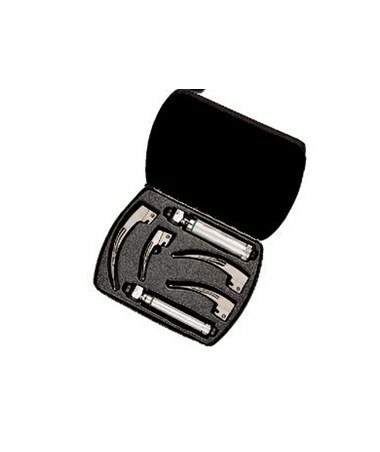 The english macintosh set includes both of Welch Allyn’s €œAA€ and €œC€ cell battery lightweight handles and lightweight blades for maximum maneuverability. 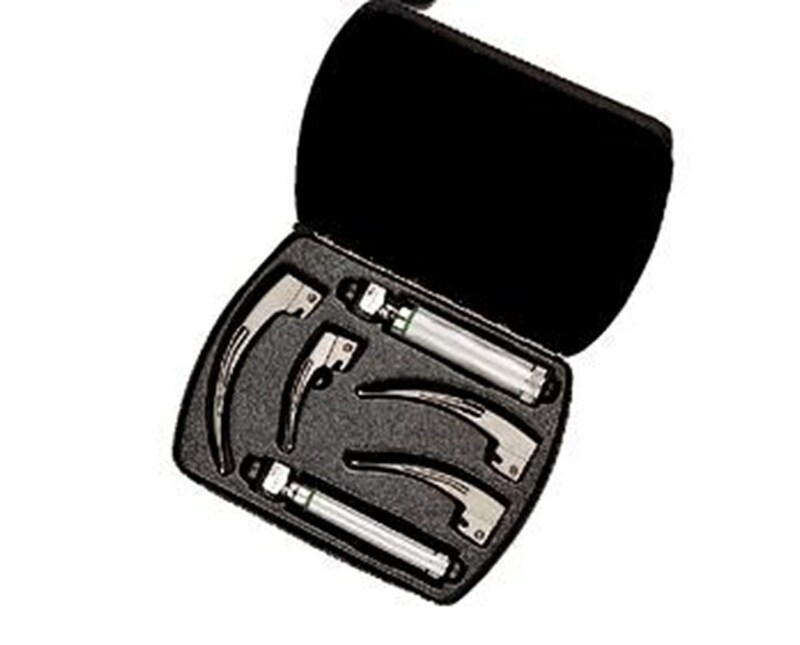 The English MacIntosh, blades are the most popular style of laryngoscope blade outside of the United States. The design differs in several aspects from the original Macintosh blade. The curve of the English Macintosh is more continuous which improves the lifting mechanics. The overall length of the blades is longer in order to help assist intubation in patients with an anterior larynx. The height of the blade had been reduced for easier intubation in patients with limited oral access.